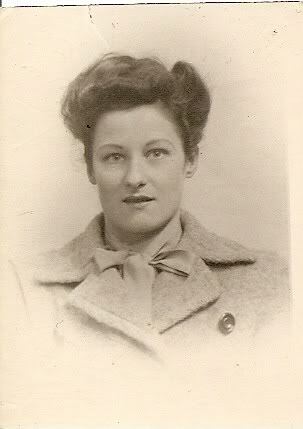 My Auntie Alice married and emigrated to Canada*, where she died young. She had a few children but the family lost touch after Alice passed. She married James Farrell, and had three children that I know of, Gordon, Patrick and Katherine. 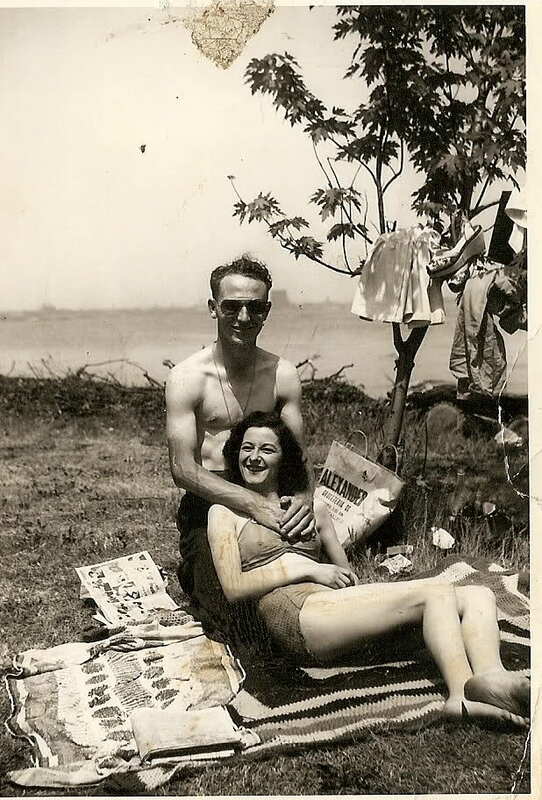 Here’s a picture of my Auntie Alice (Robinson) along with her husband Jim Farrell dated June 1949. They’ve just been shopping at Alexanders Groceteria! Another couple of Canadian photos. 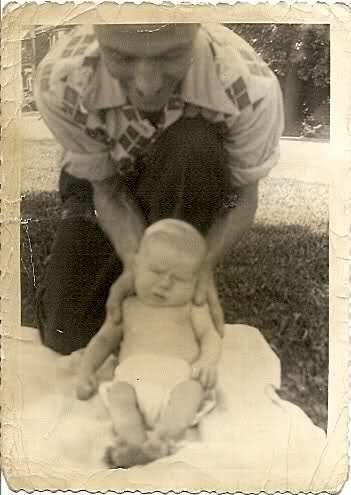 The first is of my uncle, Jim Farrell, Alice Robinsons husband with one of their kids. On the back it says “This was taken the Sun he was a month old. Did you ever see such a sour look on a baby’s face.” Doesn’t say which one, though. This one says “this was taken in Sept. It’s not too good but school photo’s rarely are. His hair is just growing back in after his summer-crew-cut. 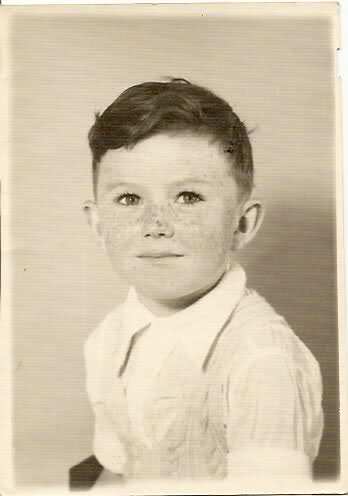 Pat age six. 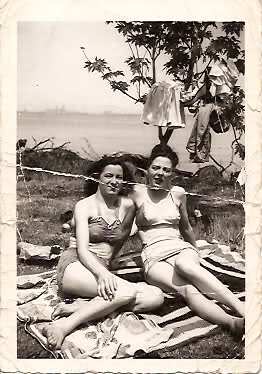 Here’s Alice, with her sister Terry (right) posing for the camera, on the same trip as the first picture of Alice and Jim, shortly after Terry moved over. And, finally, one of Alice as a young woman.